NXT-Dx offers a fast and accurate protein analysis service based on mass spectrometry, in combination with gel electrophoresis if desired. Gel electrophoresis is used to separate protein mixtures. This can be done in one dimension (1D) based on the molecular weight of the proteins (10% Tris HCl: 10-200kDa, or customized gels), or in two dimensions (2D) based on their iso-electric point (pI3-10 or 4-7, or customized gradients), followed by an additional molecular weight separation. After staining and imaging of the gel, little gel pieces can be excised and the protein content can be digested into peptides and identified by means of liquid chromatography and mass spectrometry (LC-MS/MS). 2D gels can also be compared to each other by means of the PDQuest software and differences in expression can be reported. Additionally, 1D and 2D gels can also be used for Western blotting and subsequent immunodetection. This setup is commonly used for the identification of immunoreactive proteins. Besides gel electrophoresis, it is also possible to analyze samples in a gel-free manner. This is preferred when no immunoreactivity experiments are necessary and identification of the sample as a whole is the experimental aim. In more complex samples, an extra separation step (strong cation exchange) can be included in order to obtain different fractions. Each fraction is then analyzed by LC-MS/MS. This setup will lead to more identifications in complex protein mixtures. Proteins are first cleaved into peptides by means of proteolytic enzymes such as trypsin, chymotrypsin or GluC. 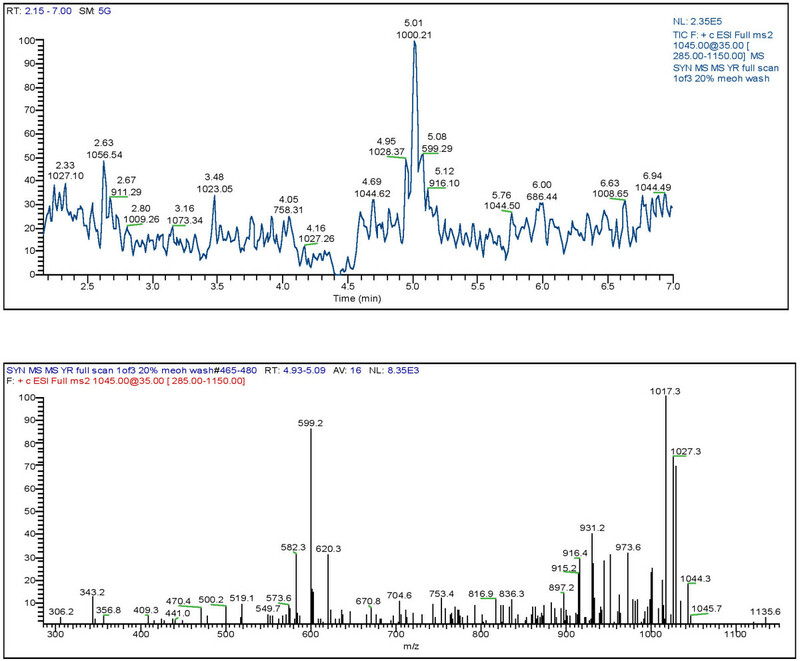 These peptides are separated by means of liquid chromatography and analyzed by means of mass spectrometry (LC-MS/MS). The spectra obtained by mass spectrometry are correlated to amino acid sequences, which on their turn are compared with databases from different kind of species (bacteria, human, mice,…). We can also offer an optimized method to identify the biological matrix and the species of forensic samples. This approach has the advantage that no extra trace material is needed since the analysis is performed on the first “washing” step of the DNA-extraction, a solution which is normally discarded, and that one single test is sufficient to determine the identity and the species of the biological matrix, while the conventional methods require cascade testing.